Der mit 20.000 Euro und einem Glas Alpakakot dotierte Heinz Oberhummer Award für Wissenskommunikation für „hervorragende Wissenschaftsvermittlung“ wird am Montag, den 25. November 2019 im Wiener Stadtsaal verliehen. Preisträger_innen 2019 sind James Harkin, Andrew Hunter Murray, Anna Ptaszynski und Dan Schreiber, besser bekannt als No Such Thing As A Fish, einem der erfolgreichsten Podcasts weltweit. Tickets für die große Gala am 25.11.2019 sind ab sofort erhältlich! Hier die gesamte Presseaussendung zum Download! 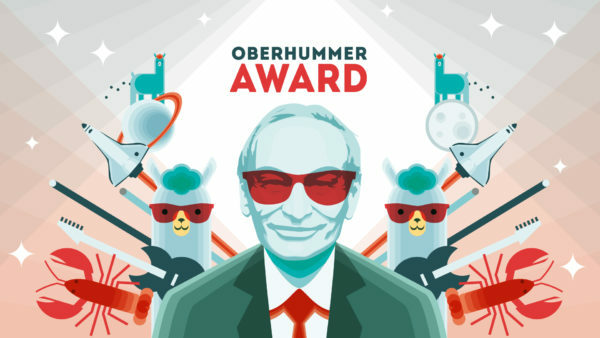 The Heinz Oberhummer Award for Science Communication for „outstanding efforts in science communication“, which includes prize money of 20,000 euros and a glass of alpaca excrements, will be presented on Monday, 25th November 2019 in Vienna‘s „Stadtsaal“. The 2019 winners are James Harkin, Andrew Hunter Murray, Anna Ptaszynski and Dan Schreiber, better known as No Such Thing As A Fish, one of the most successful podcasts worldwide. 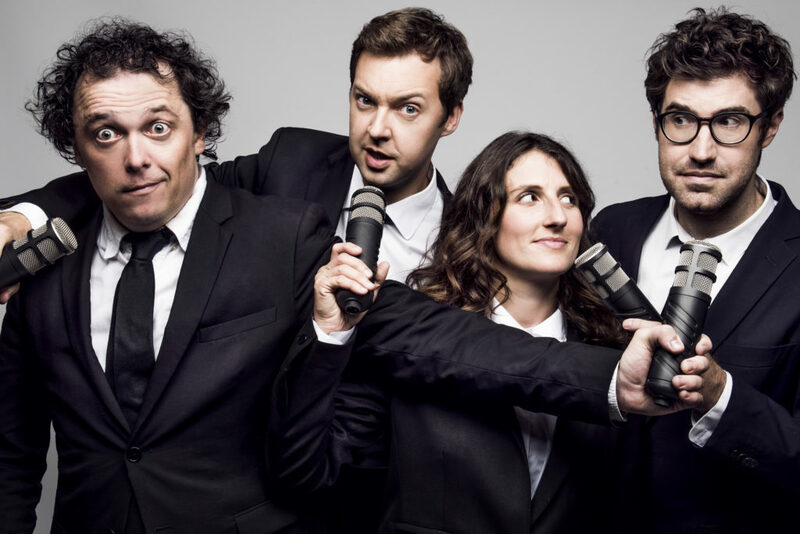 Since 2014, these four have gathered in front of the microphones in London every week to present their favourite four facts from the last seven days, ‘in no particular order’. They do this in an inimitable way with a mixture of comedy, word play, and a thirst for knowledge. No subject is too absurd, no fact too unbelievable, no discovery too bizarre. The topics range from the gender characteristics of an octopus to Charles Darwin’s bassoon; they discuss what the Second World War has to do with carrots and how long to cook a Space Egg. And, for the 40 minutes you are listening, with a sense of wonder and a lot of laughter, you often don’t notice just how much you have learned. This kind of indirect transfer of knowledge is just what Heinz Oberhummer had in mind when he co-founded the Science Busters in 2006. Their current tour „In No Particular Order“ is taking them to mainland Europe for the first time and their first performance in Austria will be at the Heinz Oberhummer Award 2019. On 25th November they will share the “Stadtsaal” stage with the Science Busters.